Around 14 million dairy farms will cease production around the world by the year 2030, according to global outlook predictions. 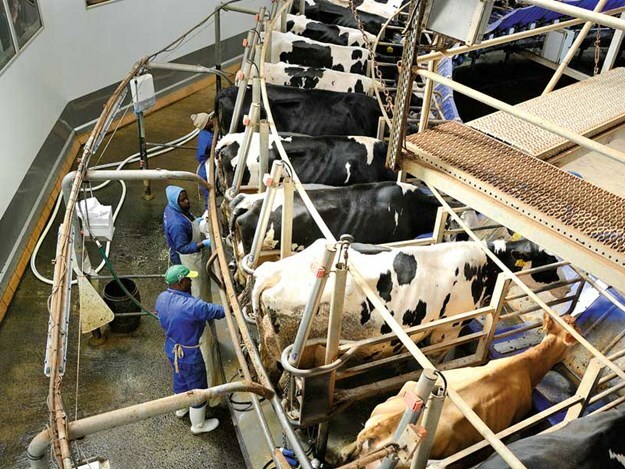 However, it’s also predicted that world milk production is expected to grow by an average 35% internationally by 2030, to supply demand from a population of an estimated 8.7 billion people by that time. There are also some changes coming to the export markets, which will see smaller countries becoming potential bigger players. Dairy experts suggest the current top three dairy exporting regions in the world will remain in pole position until 2030 but there could also be some surprises climbing the leader board in this period. At the moment, the European Union, New Zealand, and the US are the top three dairy exporting regions in the world. However, there are a number of countries that are currently major importers of dairy products but have the potential to become bigger producers and therefore bigger exporters as well in the future. Global demand for dairy produce is set to increase in line with the increase in population and rising incomes. However, the rate of increase will be much slower as experienced over the past 10 years. The dairy industry provides food for the current world population of seven billion consumers and supports one billion people with employment. By 2030, the global population will have grown by 16% to 8.7 billion, therefore, there will be around 1.7 billion more consumers to provide for. The world export market for dairy produce totalled US$27.5 billion in 2017, influenced by New Zealand, which supplied 20.4% of this. The EU says it could supply ‘close to 35% of global demand by 2030’ focusing more extensively on value-added products such as organic products or those with protected geographical indications. EU exports of cheese, butter, skimmed milk powder, whole milk powder, and whey powder are expected to grow on average by around 330,000 tonnes of milk equivalent per year. As for the EU market, close to 900,000 tonnes of additional milk per year would be needed to satisfy its growth for traditional dairy products, which is mainly cheese. By contrast, European liquid milk consumption is expected to continue declining in the EU. EU milk production should experience a modest increase from 2018 to 2030 at 0.8% per year on average. Production is estimated at 167 million tonnes in 2018, and should reach 182 million tonnes by 2030. Finally, milk yield should also increase by 2030, 17% above the level of 2017. However, it will be at a slower pace than in proceeding decades due to environmental constraints on further dairy production. 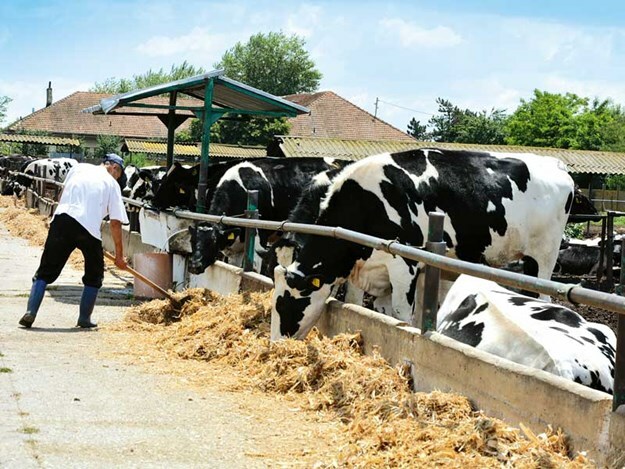 In the past, the traditional dairy exporting countries have shown steady growth. However, there’s a new movement coming that will see countries that have traditionally been viewed as importers of dairy products, become major producers with the help of large scale external investments. Post-Soviet countries and states of Asia that have significant potential for development in the near future will be able to compete with the present global players of the dairy market. According to the German dairy research body, IFCN, milk production will increase by 304 million tonnes by 2030 and per farm by 54%. Milk consumption is set to increase by around 16% per capita and the average milk yield per cow will rise by 23%. IFCN sees south Asia as the region with the greatest potential to grow and have suggested it will increase production by 64 percent from the latest figures in 2017 to 2030. Next on the list is Africa with a capability of 36% growth, followed by Latin America at 33%, Near and Middle East at 27% and North America at 26%. Western Europe has a 14% capacity to grow. IFCN also predicts that the number of dairy farms will decrease by 14 million to 104 million by 2030 influenced by supply and demand as well as political decisions and succession issues. One of the major surprises forecast is that Syria will become a major player in dairy export markets in the future. Ghassan Sayegh, a dairy expert from Lebanon, says Syria has a newfound potential to emerge as a stronger dairy producer with the help of financial investment from Russia. China is also an interesting player in the industry and produced 36.55 million tonnes of milk in 2017, which was down 2.1% from the level reached in 2008. In 2017, China’s total imports of dairy products was 2.45 million tonnes, equivalent to 14.27 million tonnes of raw milk, 4.5 times that of 2008. For China, New Zealand is the most important source to import dairy produce from. Around 92% of whole milk powder is imported from New Zealand, along with 47% of skim milk powder and 86% of its butter. In addition, 55% of milk whey powder is imported from the US, and 36% of fresh milk is imported from Germany. Over the next 10 years, China’s dairy industry will change from an adjustment period to a steady growth period. China says that by 2027, the proportion of farms there with more than 100 cows will reach 80% and the yield per cow per year will reach an average of nine tonnes. Output is expected to reach 43.8 million tonnes. The average annual growth rate of milk production in the next 10 years is expected to be 1.8%, which is significantly higher than the average annual growth rate of 0.4% in the past decade. An increase in the incomes of around 250 million to 300 million middle-class consumers in China will be the main driving force for an increase in dairy consumption there going forward. It’s estimated that China’s per capita dairy consumption will be 40.5kg in 2027, up 22% from 2017. In the same timeframe, the total consumption of dairy products will be 63.61 million tonnes, up 25% from 2017, with an average annual growth rate of 3.2%, which maintains the same rate during the past 10 years.